THIS BLOG WEBSITE WILL BECOME OUR NEW WEBSITE OVER TIME. Under topics are plant categories and very useful articles. Click on those titles to get to the category. Click on the archives to see older articles. There is alot of great info there! WHO ARE WE? …IN BIZ SINCE 1985! We are not your typical nursery. We do things differently. You won’t find rows of plants in plastic pots here. You will find an incredibly scenic place, with plants in the ground (how about that) Rhododendrons and many other plant genera you wont find elsewhere. Because we care, and want to offer plants that thrive in your yard, not just in a nursery ..but there is much more to Eastern Plant. You will find waterfalls made by nature, and a magnificent, wilderness inspiring lakefront to reflect on and more. When visiting, you will see our sign below at the road. In addition, we have a must see Trail system, WildWalkWays, which traverses our property …it’s as beautiful as any state park. (more below) We also provide landscape and tree services. You can sign up at the bottom of this page to receive automatic updates to this blog, including special sale offers. For now, just email a wish list, no obligation, no chance of credit card theft! Email is easternplant@juno.com Any questions …feel free to ask. OUR PLANTS ARE A BARGAIN Most of the ferns and wildflowers are equal to 1/2 gal to gal pot size and are not the tiny plugs many firms sell. Along with the best rhodos, we offer ferns, wildflowers, native plants and some fine, non natives …at reasonable prices …since 1985. Home gardeners, landscapers & institutions come to Eastern for these treasured plants. We also supply rhodos in large, mature sizes for instant effect. Depending on the time of year, we can supply native wildflowers and ferns in large quantity. We have never offered or wanted to, “every plant under the sun.” Instead, we offer some of the finest plants in the category they are in. We have just added an extensive listing of trees and shrubs that we offer at wholesale prices to anyone, you only have to buy in a small quantity. BRING YOUR GARDEN OR NATURE CLUB …A GREAT PLACE TO VISIT! We are a picturesque destination point for garden clubs and any group into nature and the outdoors. INQUIRE! We offer professional landscape consultation and installation stressing a natural look, as well as tree services for better view, selective thinning and storm damage cleanup. NO ONE knows plants like us …let us prove that to you. This isn’t a job or business …its a lifelong passion. While I have a degree in horticulture from Rutgers University in NJ, most of the important knowledge has been learned by observing and connecting the dots. Much of what I see in the landscape trade is wrong or “un” professional and often outrageously priced. When we a do landscape, the goal in most cases is to keep it as natural as possible…as if nature put it there. The biggest compliment we get is when the client or passersby say: “it doesn’t look like you did anything.” We will go out of state. NEED A GUEST SPEAKER? SEE LINK ON LEFT! 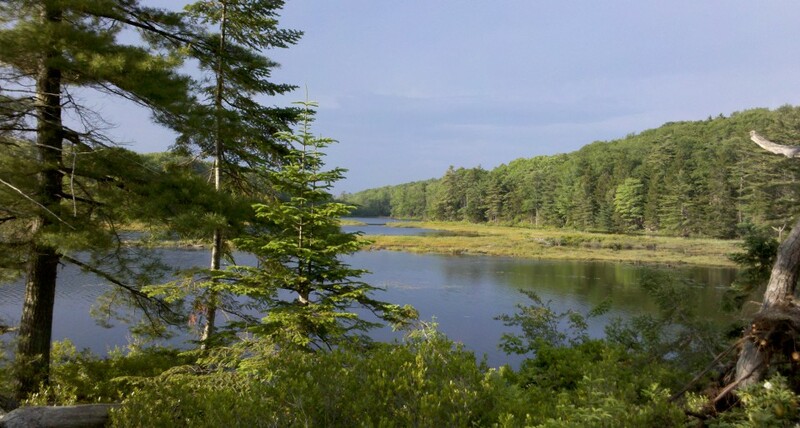 The nursery setting, here in coastal Maine is gorgeous, complete with lake, waterfalls, stream, cliffs, bogs, etc. We have an incredibly scenic location and it is truly park-like. 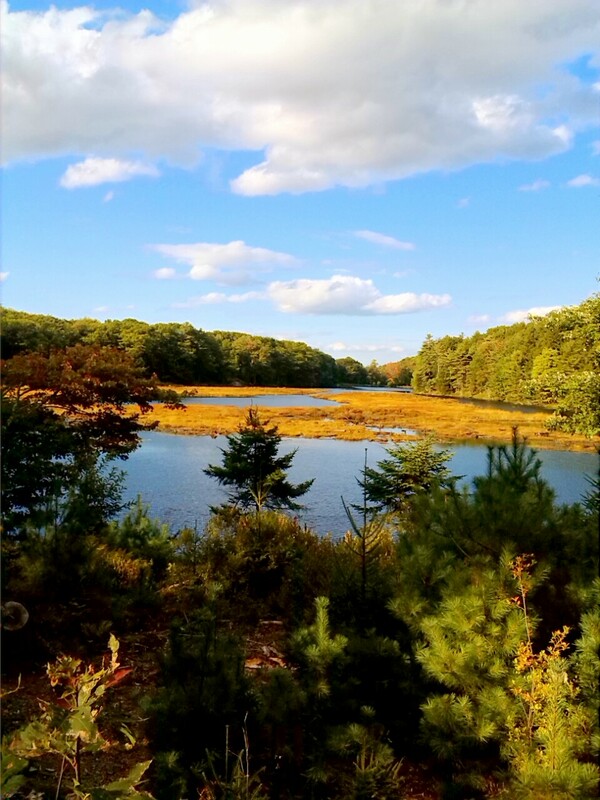 You can hike, bird watch, photograph, paint, meditate (and buy plants!) on your visit. Even have lunch on our WildWalkWays trails throughout the property. I know of no other nursery with a setting like ours …VISIT and find out for yourself. We are in the mid coast area near Bath. GROUPS WELCOME, INQUIRE! Come back often as our blog gets underway with helpful advice, photos & articles on the plants we offer …and FREE gift certificate incentives to comment and post yourself. Unlike the vast majority of nurseries, our plants are grown in the ground, making them much more adaptable to your conditions. THOUSANDS of customers over the years have told us that. Our plants live and thrive …they are grown in real world conditions, perhaps the only nursery, since its inception, to do that. In 1988 we moved from NJ to coastal Maine. After a long search we settled in the scenic town of Georgetown, near Bath. Technically we are zone 5b but last winter it felt like zone 1. There is more than just temperature that comes into play with the whole zone rating theory. Our nursery is slowly becoming a park ….the WildWalkWays trail system. THE TORNADO AND THE SETBACK FROM IT! From the heart, here are words to our customers. In the summer of 2010 a devastating but local tornado destroyed 20 years of work here. The tornado disaster was all the more shocking, as I had just returned from NJ after my moms funeral, not knowing the tornado had happened. It was almost too much to bear. We lost most of our old growth trees and countless plants. I cried for days, then got to work starting to rebuild. For nearly two year it was just cleanup as the nursery work came to a stop. The cleanup has been ongoing and is almost done. It was and is a major financial setback for us and to be honest, the financial strain has severely impacted our progress. We need your support, sales and visits to make this dream come to fruition. 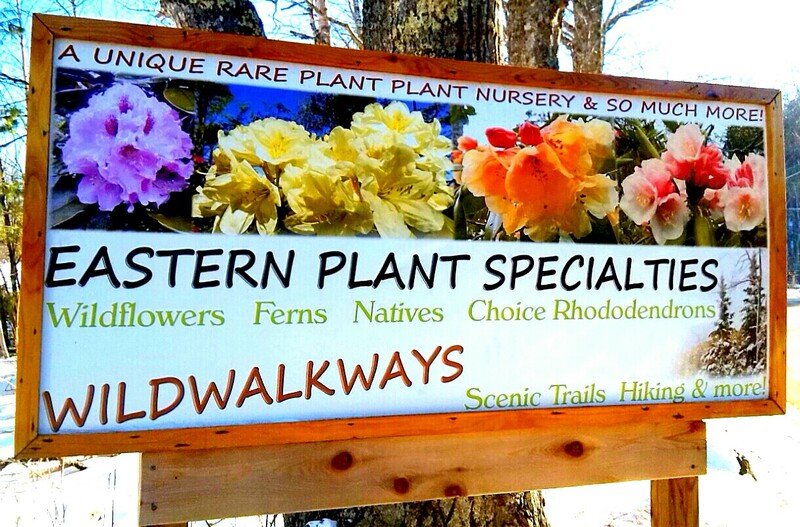 Eastern Plant and WildWalkWays are becoming a “goto place” thanks to our customers. We appreciate your support. Thank you. This is such a beautiful picture Mark! Thank you for posting this! Great photo! You truly do have a most unique and wonderful business! 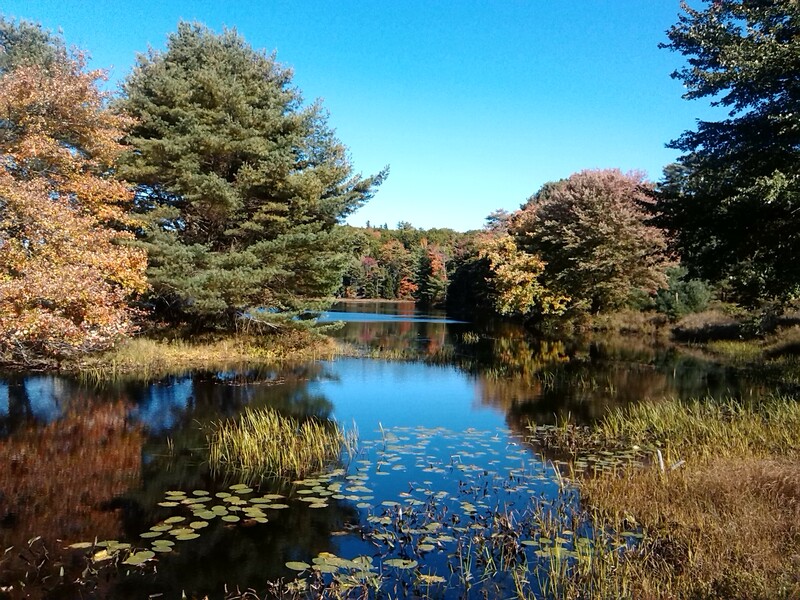 It makes me want to plan a summer trip to Maine! Please do…you would love it. The ostrich ferns I purchased from you a few years back are doing great! I have been using your plants for at least 15 years and always been pleased with your service and knowledge. I hope to get up to Georgetown one of these days to meet you all and see your lovely property .